Carpal Tunnel Syndrome (CTS) is a condition that affects the hands, wrists, and elbows. This condition causes a narrowing of the nerve passageway in the wrist and causes an impingement of the median nerve, which originates in the spine and reaches all the way to the wrist. Any swelling in the arm, shoulder, forearm, or wrist can apply pressure on the median nerve and that can lead to pain, numbness, and limited movement. People who experience carpal tunnel are usually people who work at a desk or on a computer for eight or more hours a day. This occupational health problem affects millions of people a year. It is often a problem caused by pressure placed on the nerves when doing common daily activities. Other symptoms caused by carpal tunnel can also include weakness or loss of grip strength, tingling, burning, and wrist pain. Fortunately, alternative treatments such as chiropractic care can help with the healing of median nerve. Since the median nerve originates in the spine, a chiropractic adjustment may help in relieving the symptoms associated with carpal tunnel. Before a chiropractic adjustment is provided, the doctors at Zemella Chiropractic in Santa Barbara will exam your arm and determine whether a chiropractic adjustment will help your condition. A chiropractic adjustment may include light joint adjustments to the wrist, elbow, and cervical spine. Under normal circumstances, a chiropractor can adjust your neck or back to provide some relief from carpal tunnel pain symptoms. 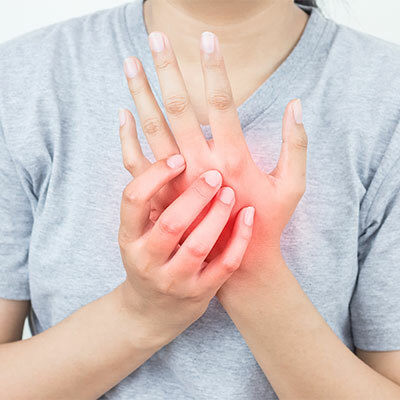 To learn more about how chiropractic treatment at Zemella Chiropractic can help you find relief for carpal tunnel syndrome, call our Santa Barbara office at (805) 324-6500 today.